MANILA -- The Bureau of Customs (BOC) initially donated 7,000 sacks of rice to victims of Typhoon Ompong. 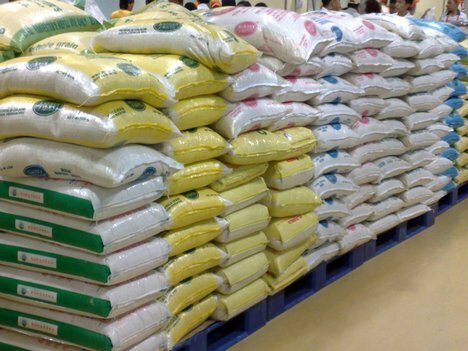 During the BOC’s flag raising ceremony on Monday, Commissioner Isidro Lapeña announced that he has ordered since last week the immediate release of seized smuggled rice for donation to calamity victims. Lapeña signed the deed of donation for the 14 20-footer containers of rice on Friday. “On September 14 and 15, we were on the peak of preparation for the donation of available rice upon instruction of the Secretary of Finance, Secretary Dominguez, that all available food items, rice especially, will be donated for the benefit of the victims of typhoon Ompong,” the BOC chief said in a statement. The smuggled shipments were earlier confiscated by the bureau at the Port of Cebu. On Thursday, Finance Secretary Carlos Dominguez ordered the BOC to immediately release seized smuggled rice and other food items for donation to the Department of Social Welfare and Development (DSWD). The donation is intended to augment ongoing government preparations related to typhoon Ompong in Northern Luzon and other areas. Lapeña noted that the role and responsibility of the bureau in certain cases such as calamities and emergencies. “This is the way we should act -- when there is typhoon, a situation that is very critical that needs our services, then we should be ready anytime to lend a helping hand to those who are in need,” he said. Under Section 1141 of the Customs Modernization and Tariff Act, rice and other seized goods that are up for disposal may be donated to another government agency after approval of the Secretary of Finance.